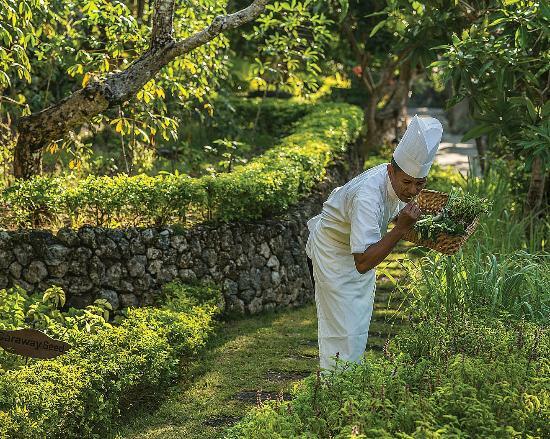 Enter through a delightful stone-paved courtyard passing by the aromatic herb garden and you will reach the stunning Jimbaran Bay Cooking Academy on the southwestern coast of Bali. 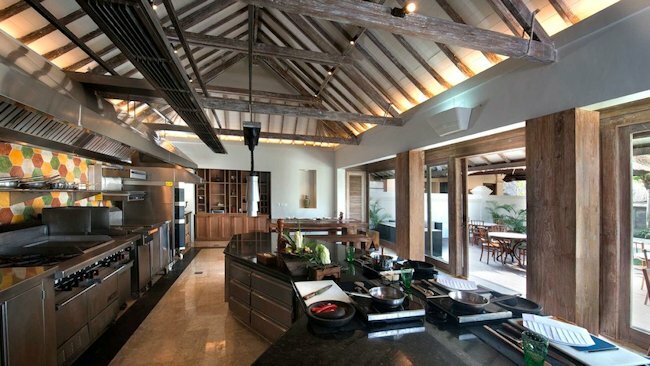 An enchanting hideaway and a wonderful place to bring your family during your yacht charter, this is the place to learn the secrets of delicious local Indonesian cuisine. In each session, guests are taken to visit the Jimbaran Fish Market to learn how locals shop for the freshest seafood, and pick indigenous ingredients from the garden. 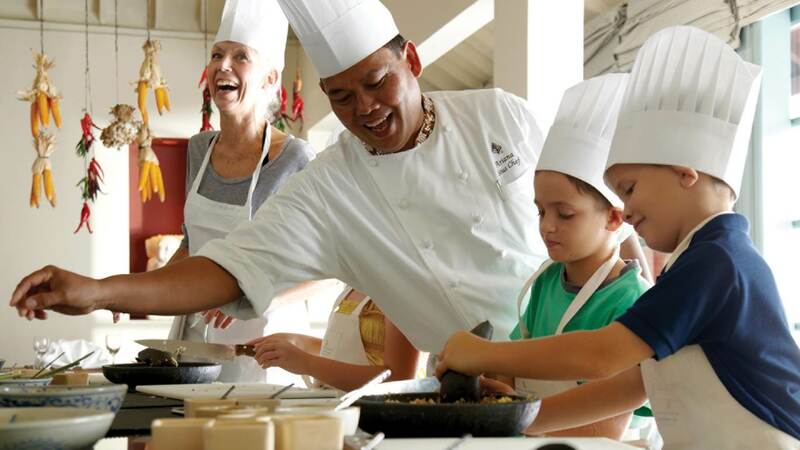 In the kitchen, the charming and experienced Chef Anak Agung Kristya Yudha will teach you how to prepare a five-course traditional meal based on local food from Bali, Java and Sumatra. You can look forward to cooking dishes such as “Sate rembiga” (traditional beef satay skewer with a spicy sauce), “Bebek betutu” (roasted duck wrapped in banana leaf) from Bali and a dessert of “Es doger” (young coconut, tapioca pearls and cassava with sweet milk) from Java. One to add to your Bali bucket list?! Get in touch with one of our brokers to discuss what you would like to do during your next Indonesian yacht charter!